Want to create better team building within your group or workplace? Incorporating gaming as a team bonding activity will help your team develop better communication skills, boost team morale, and assist team members with problem-solving and becoming more creative. How do you ask? Here are three ways gaming could help create efficient team building. 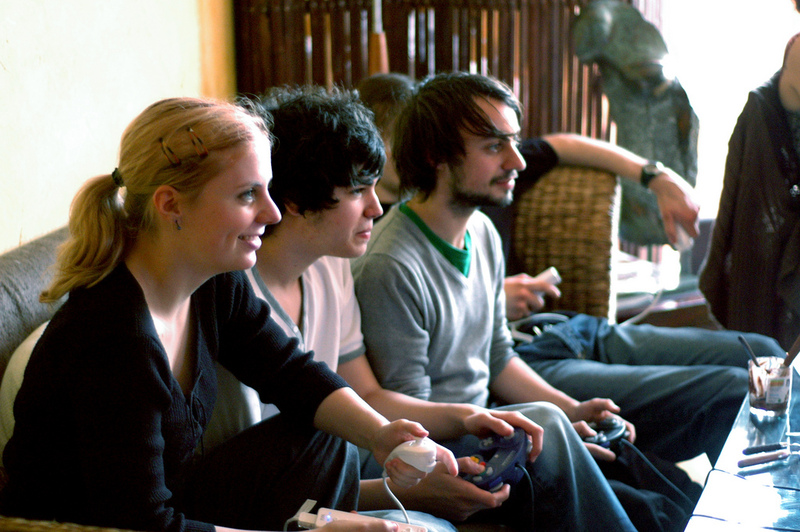 1.Gaming generates better communication and connection between team members. Communication in the workplace is essential. To be able to create effective communication between team members, the work environment must be free of conflict, tension, and must have a natural connection between its people. Creating bonds is where gaming can be impactful in accomplishing a set relationship and communication between the group. Whether it’s setting time in a day where the team can unwind playing video games online such as Overwatch, or creating a monthly or annual trip, gaming could be used to help the team work better together and build stronger relationships. Corporations like Intel are experimenting with new apps that add a social networking and gaming element to their systems to facilitate company events and help team bonding. Though a bit of competitive spirit and camaraderie among coworkers is excellent, always keep a goal in mind to facilitate and better the team to become more productive and efficient. 2. Playing games gives a boost in motivation. In a research project to find out the secret to creating the perfect team, Google found that the secret to building the best team isn’t about putting together people who mesh well, but by creating group norms and impacting the dynamics of a team to be more efficient. An idea brought up by Brian Sutton-Smith, a developmental psychologist of play, came up with the idea that the opposite of PLAY is not WORK, but DEPRESSION. Looking into the minds of gamers, his research as well as many others, found that when we play video games there are two regions of the brain which are hyperstimulated. One is most responsible for goal-orientation and motivation. When we play games, we are so focused to complete the goal (especially before our fellow team members), we feel a rush of accomplishment and self-confidence for completing a job and doing so feels as if it’s a reward in itself. This constant keeps the player focused on getting better until they can beat a level. It’s precisely this resilient behavior you can expect from a gamer whose brain is primed both to accomplish a goal and to gain confidence to learn and get better. The sort of behavior trait you want in the workplace. 3. Gaming stimulates the brain and helps get the mental and creative juices going. Studies also show that gaming can help stimulate the brain and encourage the creativity. The other region of the brain that is constantly stimulated while a gamer is active is the hippocampus, which is responsible for memory and learning. Studies show that skilled players mainly use their frontal cortex, which is an area of the brain for planning, attention, and multitasking. There is always a learning experience when it comes to games. Every time a game starts, the player must learn the rules and figure out different strategies to improve their skills to help them get past each level, which helps them with their problem-solving skills. Need help in Creating Gaming Events? So seeing how much gaming can help build teamwork, now is the time to start planning an event to increase your team’s collaboration. With our expert Game Coaches and state of the art equipment, Game Truck Richmond can create the perfect team event for you! Whether you want a Video Game Party, a LaserTag Arena, or a game of BubbleSoccer, GameTruck Richmond can find the right team event for you. Go to our website or call (804) 938-1337 for a free estimate or to book a reservation today!